So cute, Karen!! That combination of colors and the sprinkling of turquoise is great. Love the sentiment, too!! EEK! those bugs look very lifelike. Great way to use these colors. 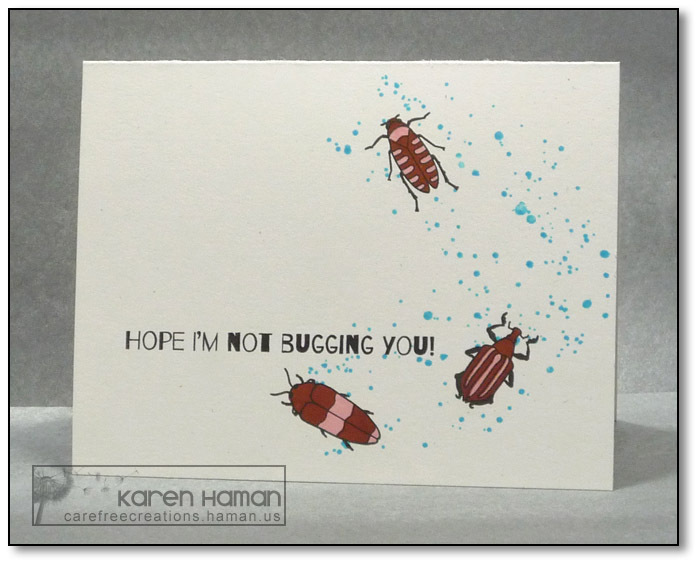 A very creative way to use the colours – they work perfectly for bugs! I have to echo what the others have said – I’m not big into bugs, but you’ve made the colors work so well with them! I especially like the turquoise splatters.